Manufacturer of quality and affordable heavy duty alloy UTE trays. 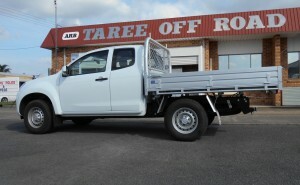 Bocar ute trays are designed, engineered and tested in Australia for tough Australian conditions. With over 25 years experience, the Bocar Ute Tray name is synonymous with quality and durability.